Do you need the perfect solution to hair problems? Is your hair breaking, dull, and lack-luster? Worry no more. You have a perfect hair solution in our Shea Moisture Jamaican Black castor oil hair, food, shampoo and conditioner set. This shampoo is excellent for African-American. This shampoo and conditioner is rated best for hair growth. This Jamaican Black castor oil hair conditioner and shampoo set are made from premium organic ingredients for your hair treatment. This leave-in conditioner and shampoo set contain Apple cider Vinegar, peppermint, and Shea Butter. The kit is sulfate free and color safe, which makes our product the best Jamaican black castor oil 100% pure organic hair food product. This original hair formula guarantees quick results in less than two weeks. Give this product 2 weeks, and your hair transformations will be so pronounced that your beholders can attest to the effectiveness of our hair grow kit. 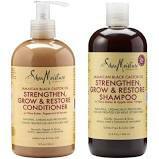 Our Shea Moisture Jamaican black castor oil extra dark hair products are the go-to choice for your hair needs. This kit is ideal for beard growth, producing very natural dark hair, and suitable for use even on your eyelashes. It is a unisex kit ideal for men and women, teens, and kids. It is your ideal gift idea for showing your loved ones some extra love. RESTORES STRENGTH AND BUOYANCY: Our Jamaican black castor oil and shampoo for hair growth kit help to restore strength to dry, tangled, and brittle curls thereby leaving your hair elegantly supple with the natural buoyancy and glossy appearance of a real queen’s hair. 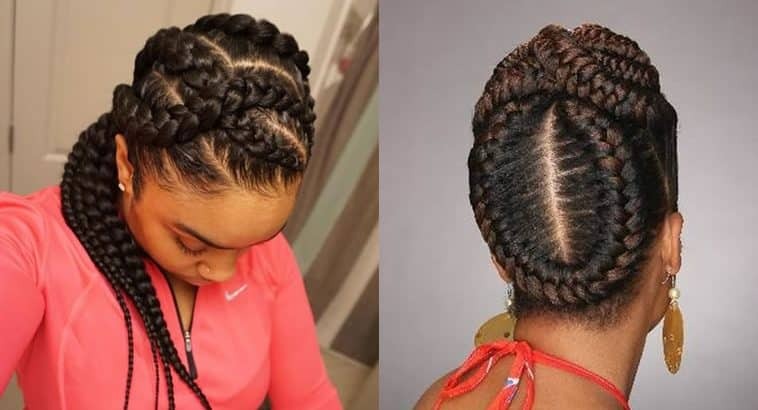 With our shea moisture Jamaican black castor oil conditioner and shampoo, you can bring the glory back to your hair, whether it is your eyelashes, eyebrows, or hair on your head. STIMULATES LUXURIANT HAIR GROWTH: Our Shampoo and Conditioner set is formulated to boost and maintain luxuriant hair growth. This combination contains natural hair nourishing ingredients that give your hair the right nourishment for the healthy development of long and beautiful tresses. Our Shea Moisture Jamaican black castor oil formula also works excellently for enhanced beard growth. PREMIUM PRODUCT BUILD-UP REMOVAL: The gentle cleansing effect of Shea Moisture Jamaican black castor oil shampoo combination ensures that your hair is rid of all chemical build-up leaving your hair chemical free and strengthened for a unique plush appearance. PH LEVEL BALANCING EFFECT: These formulations contain Apple cider Vinegar which helps to maintain a balanced PH system. A stable PH system helps promote good hair consistency and promotes a stunning Oil-free Shine to your beautiful hair curls. NATURAL HAIR MOISTURIZER: Our castor oil leave-in conditioner and shampoo set act naturally to restore the natural softness of your hair for a shiny, soft and well-textured feel. With this organic well-developed Jamaican black castor oil hair food product, you can bring the glamour back to your hair and feel like a natural queen all over again!